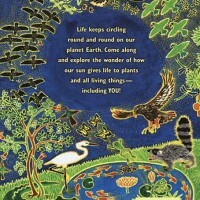 A magnificent book which explains the basic scientific principles behind life on earth. 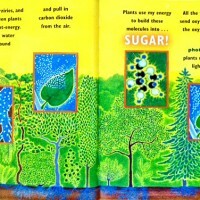 Children can explore the stages in chemical transformation as the sunlight is photosynthesised and made into sugars, the energy packs and building blocks for life on earth. Simple chemical equations are introduced for those who are interested to know more. 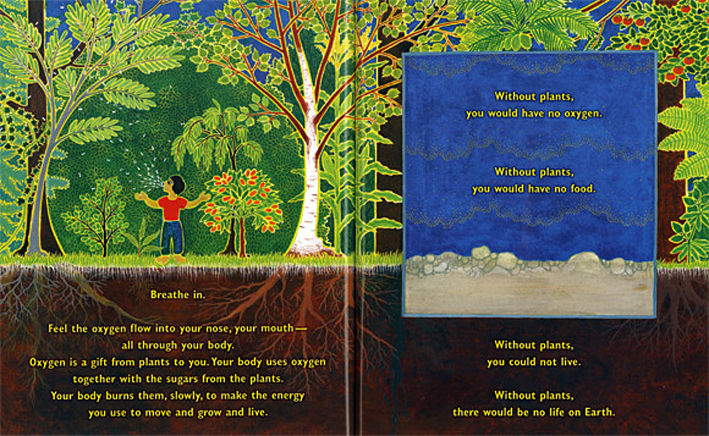 Molly Bang’s illustrations are colourful, rich and descriptive, allowing the scientific concepts to be absorbed both visually and through the clear informative text. 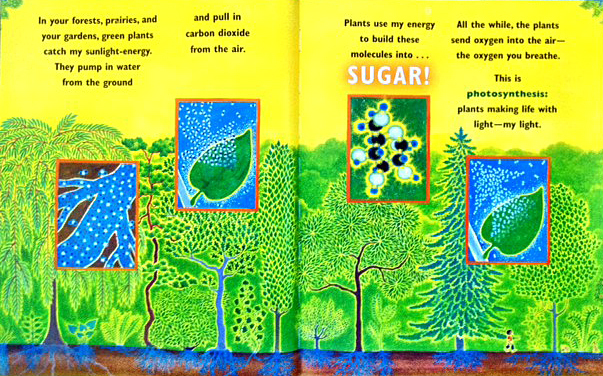 We see a water-like spray of carbon dioxide molecule being breathed out by a child standing in a forest. The cycle of respiration between plants and creatures is explained along with the critical role plants play in providing oxygen and their role in the food chain. 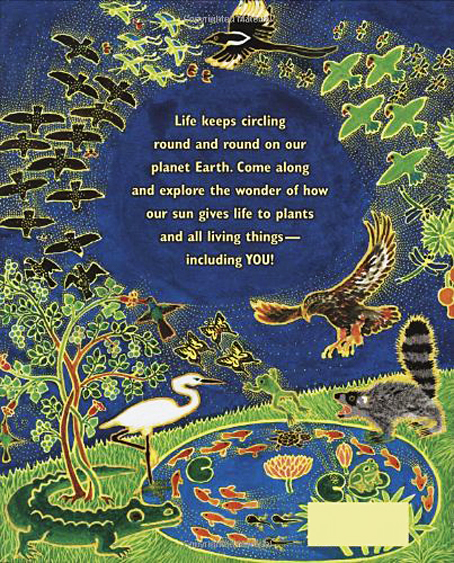 Living Sunlight was awarded the American Association for the Advancement of Science/Subaru SB&F Prize for Excellence in Science Books, which celebrates outstanding science writing and illustration for children and young adults. CEE Professor Sallie (Penny) Chisholm best known for her research and discovery of ocean phytoplankton Prochlorococcushas, was in 2013 awarded the (US) National Medal of Science, the nation’s highest honour in science and engineering. 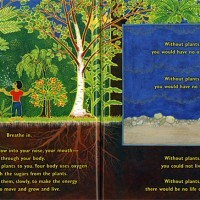 A passionate advocate for public science education, Chisholm is also the co-author with illustrator/author Molly Bang, of another book for children: Ocean Sunlight: How Tiny Plants Feed the Seas (The Blue Sky Press, 2012). 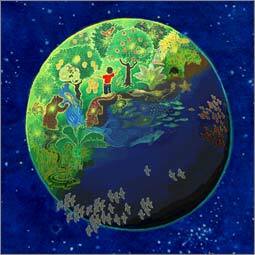 Only by educating our children about the realities of our world can we hope to engage their interest and spark their drive to look after our planet, contributing to a healthy future for themselves and their children. 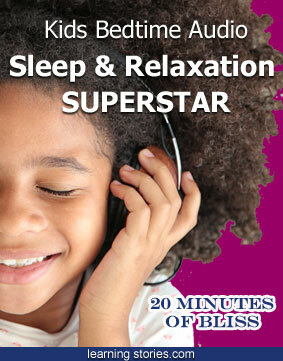 This exciting educational book is an essential learning tool which all children should have the chance to be inspired by! 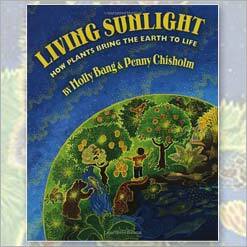 To find out more about Molly and Penny’s book Living Sunlight click the link below.